The 2016 Ukrainian Day festival, was held on Sunday, August 7th, 2016 at the Ukrainian Cultural Heritage Village. This annual event has a 40-year history of bringing together individuals from across east central Alberta, Canada and even internationally for a day to celebrate all things Ukrainian. Attendees were treated to a day filled with activities throughout the Village, as well as many special on stage performances you won't want to miss. 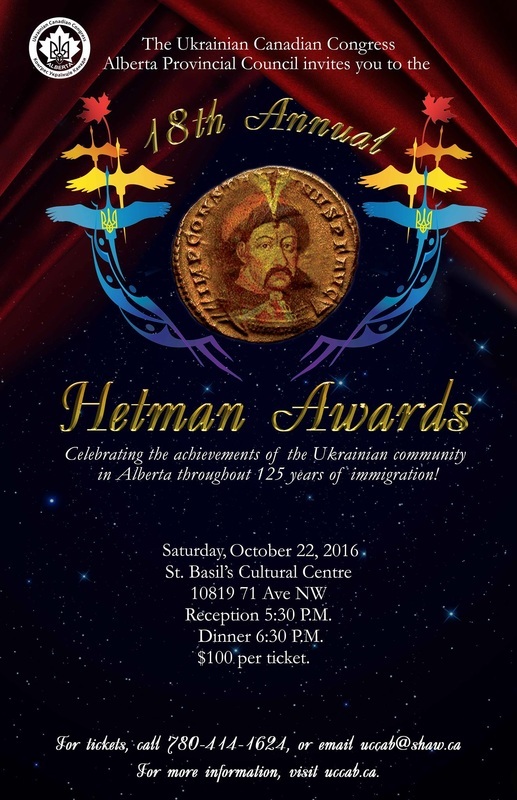 The Government of Alberta also declared 2016/17 the year of the Ukrainian-Canadian at the festival! 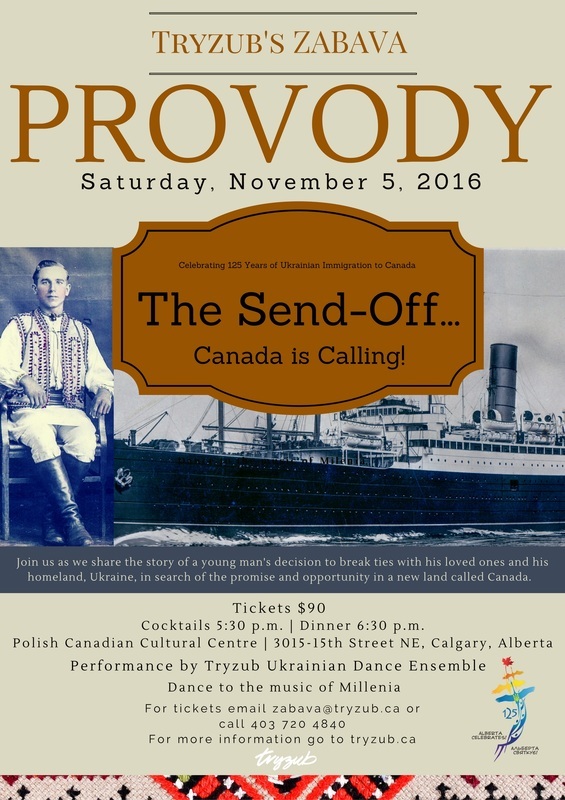 2016 marks the 125th anniversary of Ukrainian immigration to Canada. This is a significant milestone in Ukrainian-Canadian history and we invite all friends and family to come celebrate with us. 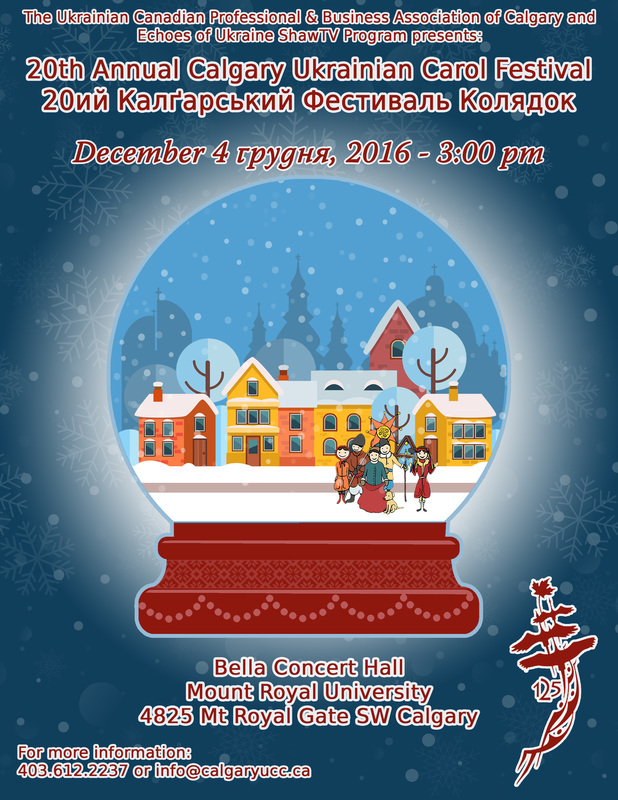 On December 4th, 2016, Calgary will be celebrating it's 20th Annual Ukrainian Carol Festival. This year, the carol festival will be held at the world-renowned Bell Concert Hall, and brand new concert hall on Mount Royal University's campus. The festival will start at 3pm. Admission is by donation at the door!